On Saturday, January 19, 2019, the Ohio Black Women’s Leadership Caucus, Inc., Akron chapter held their 30th Annual Salute to Significant African-American Males Breakfast. 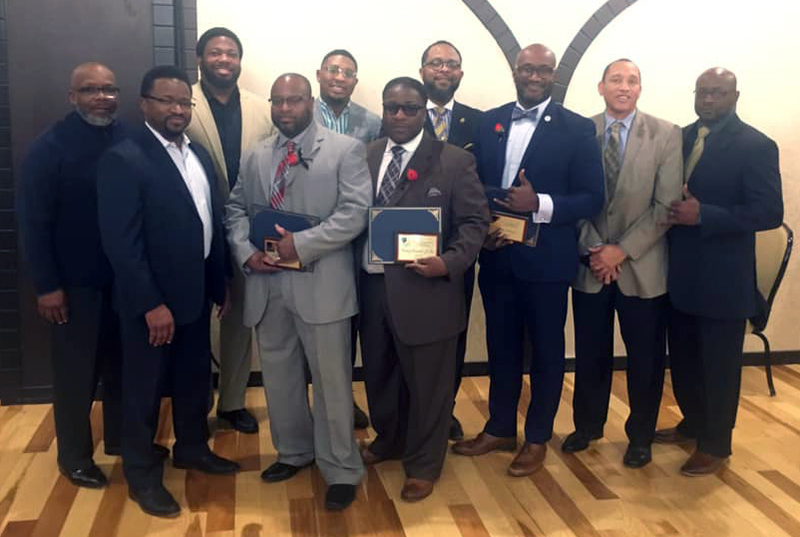 Among the recognized were three Eta Tau Lambda chapter brothers, Daryl Brown, Andre Lessears, and Emmett Lee. The Salute to Significant African-American Males Breakfast was established in honor of the many black men who selflessly give of their time and energy to their communities. Everyday, these men, our unsung heroes, pour their hearts and souls into mentoring youth, restoring communities, assisting the elderly, advocating for better education, and demonstrating respect for others. These acts of service may not gain widespread attention, but their effect is often impactful. Follow the Caucus on Facebook to support their efforts. In 1960, brothers decided to form a more structured group to support the Akron community and the college chapter at the university.